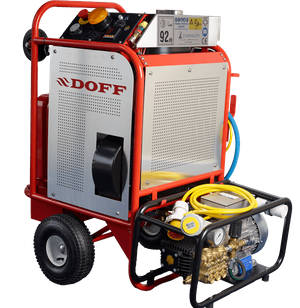 The DOFF Integra is a steam based cleaning system that utilises a normal water supply to remove some of the more resistant forms of unwanted matter from a range of surfaces. 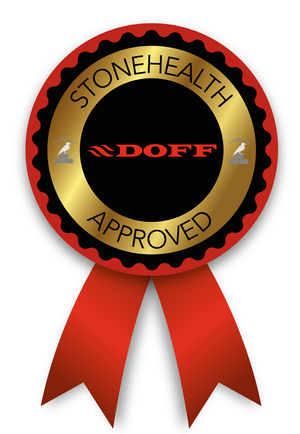 The DOFF system is unique in achieving 150ºC at the nozzle end, making it a 'superheated water system'. Designed and developed to effectively remove paint, biological matter and general dirt or grime without causing harm or shock to the substrate. The steam/superheated water will remove moss, algae, fungi and other biological matter and will also kill of spores. This can reduce the need to use chemicals during the removal process or as a protection against further biological activity. 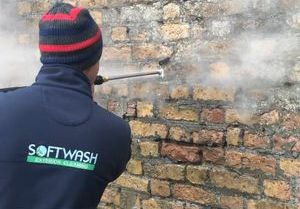 DOFF cleans masonry, stonework and other surfaces using high temperature steam. Whilst the temperature of in the system is high, the pressure on the surface being cleaned is very gentle and volume of water consumed is low. The surface is therefore not saturated and will dry within minutes. Softwash Exterior Cleaning are approved Stonehealth contractors after achieving the required standards and client testimonials to receive their industry recognised Rosette accreditation. With the backing of some of the most experienced professionals in the conservation and restoration industry, you can be sure that you will receive the highest quality service from consultation to end results.